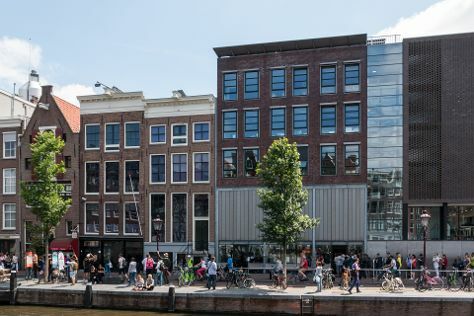 Do some cultural sightseeing at The Jordaan and Anne Frank House. Deepen your sense of the past at sights like Brouwersgracht and Museum Het Rembrandthuis (Rembrandt House). Explore Amsterdam's surroundings by going to Nieuwe Kerk (in Delft), Zandmotor (in The Hague) and Zandvoort aan Zee (in Zandvoort). There's much more to do: tour the pleasant surroundings at ARTIS, pause for some serene contemplation at De Duif, choose your vessel at MokumBoat, and wander the streets of De Negen Straatjes. To see ratings, traveler tips, where to stay, and tourist information, refer to the Amsterdam online trip itinerary builder . If you are flying in from United States, the closest major airports are Amsterdam Airport Schiphol, Eindhoven Airport and Eelde Airport. In March, daytime highs in Amsterdam are 50°F, while nighttime lows are 36°F. Wrap up your sightseeing on the 31st (Sat) early enough to travel back home.